Import a CAD drawing for display only. Visio online Help refers to this as "inserting" a CAD drawing. Visio displays a copy of the CAD drawing as an OLE embedded object that you can use as a background page, reference layer, or detailed insert, but you can't edit its contents. 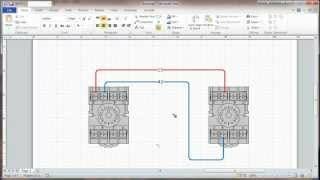 Convert a CAD drawing, which converts the original objects to fully functioning Visio shapes. 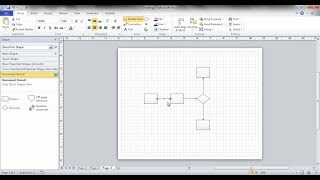 Export a Visio diagram as a DWG, DXF, or DGN file. In a multiple-page Visio diagram, you must export each page separately. Most of the time, when you need to display a CAD drawing in Visio, your best option is to insert it as a display-only object rather than convert it, as Figure 17-1 shows. 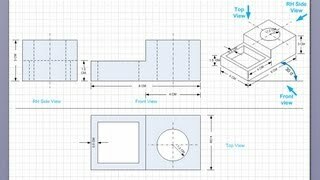 You can use the display-only CAD image as a background layer so that you can enter comments or drag Visio shapes on top of it, or you can insert the CAD drawing onto the page and crop it to provide detail for a portion of your Visio drawing. Figure 17-1. An inserted CAD floor plan provides an accurate backdrop for electrical, HVAC, network, or other shapes, which you can drop on top. For details about background pages in Visio, see "Using Background Pages." For occasions when you really need to edit the geometry of a CAD object within Visio, you can convert a drawing. For example, maybe you have a legacy CAD file that you need to revise, but no access to the program used to create it. 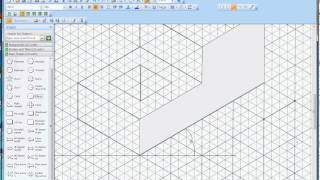 By converting the CAD objects to Visio shapes, you gain full control of the file. You can also convert in the other direction—converting a Visio diagram into a CAD-readable format. However, no one at Microsoft recommends round-tripping Visio and CAD files. Consider the two conversion features to be one-way only. Note The ability to insert CAD drawings in Visio files is included with both Visio Standard and Visio Professional. If you're used to working in a CAD program, you'll notice that Visio products use a different approach to drawing. 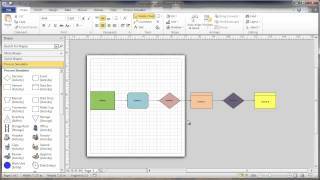 For starters, Visio uses a drawing page instead of model space, and you create shapes with masters rather than blocks. Several other tasks you perform in CAD programs are also accomplished differently in Visio as the following sections describe. In CAD programs, you create a model in the coordinate system referred to as model space. If you display a model in a view port, the coordinate system is transformed to paper space, so you can print or plot the diagram. 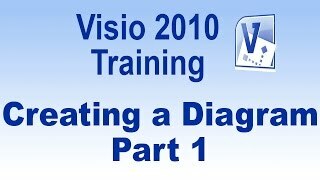 In Visio, however, you begin and end your work on the drawing page. 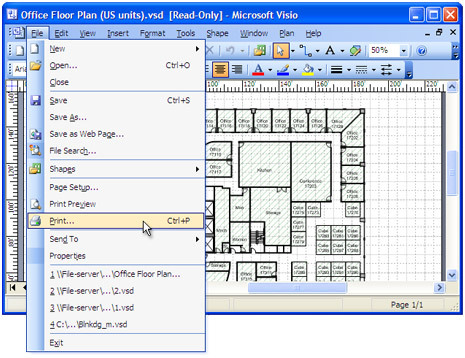 In CAD terms, you can think of the Visio drawing page as a single, two-dimensional view port into model space. 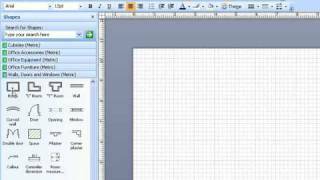 Visio shapes are vectors for which dimensions are measured as width and height. A shape's location is its position on the plane represented by the drawing page. The coordinates on the drawing page are measured in units that correspond with the real-world measurement units of the object or space you're representing, as Figure 17-2 shows. 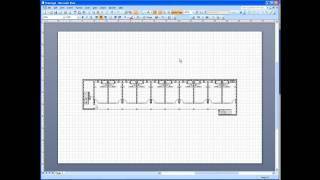 For example, if you're drawing a floor plan, the Visio ruler might show that the drawing page is 100 feet (ft.) wide, but in reality, the drawing page prints on a standard paper size, such as D-size plotter paper. newfeature! The last view in which a CAD drawing was saved before you bring it into Visio affects how it looks and what you can do with it in Visio. In general, you'll get better results if the CAD drawing is saved in model space. This is especially true if you're converting the drawing and its contents to shapes. Visio can convert all the objects and text from the specified layers of a drawing saved in model space. If the drawing was saved in paper space, Visio converts objects and text quite literally as they appear—but at least they're converted. (Visio 2000 couldn't do this). For example, if an object or text in paper space appears to be clipped at the edge of the view port, the clipping is converted to Visio lines, rather than the whole object represented by the clipped portion. Figure 17-2. On the Visio drawing page, coordinates are measured in units that correspond with the actual size of the represented objects. In addition, if a CAD drawing was last saved in paper space, you won't be able to change its drawing scale when you insert or convert it. In CAD programs, you draw in the real-world units of the world coordinate system. In Visio, you draw in drawing units. which can be any units you specify. 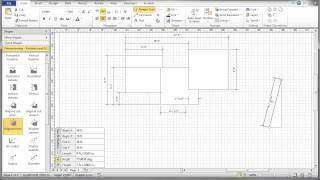 In addition, you usually specify a drawing scale in Visio before you start to draw. A drawing scale is the ratio of space on the page to real-world measurement units. In a floor plan, for example, it's impractical (to say the least) to print a page that is 40 ft. wide. But if you specify a drawing scale of 1 /4 in. = 1 ft. you can represent a building that's 40 ft. wide on standard letter-sized paper. For details about drawing scales and units of measure in Visio, see "Setting Up Measurements in a Diagram." 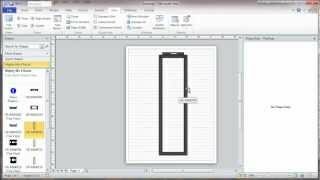 InsideOut The CAD and technical drawing features in Visio have inspired several independent publications that share tips and tricks via the Internet. One such resource is Design-Drawing (http://www.design-drawing.com), which bills itself as a "webzine for technical professionals looking for fast, easy design and drawing solutions." When you insert or convert a CAD drawing, Visio sets a custom drawing scale that ensures the CAD drawing will fit on the Visio drawing page. 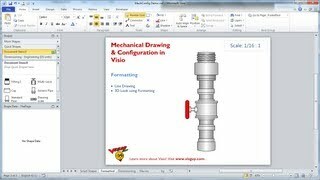 If the CAD drawing is large, and the Visio drawing page is small, the result is a new drawing scale that forces the CAD drawing to fit—which may not be the ideal drawing scale for your purpose. However, you can control the drawing scale and the page size either when you insert or convert the drawing, or later after it's in Visio. 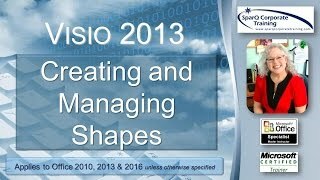 If you're used to working in a CAD program, you might find Visio terminology confusing. Some of the commands common to CAD programs aren't available in Visio at all; others are a little different and might even be easier to use in Visio. Table 17-1 summarizes commands and tasks that are commonly available in CAD programs and the equivalent functionality in Visio. 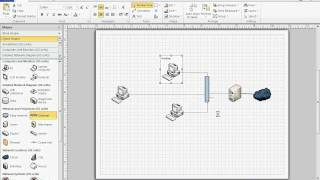 Viewing Visio drawings is as simple as double-clicking the drawing (files with a .vsd. vss. 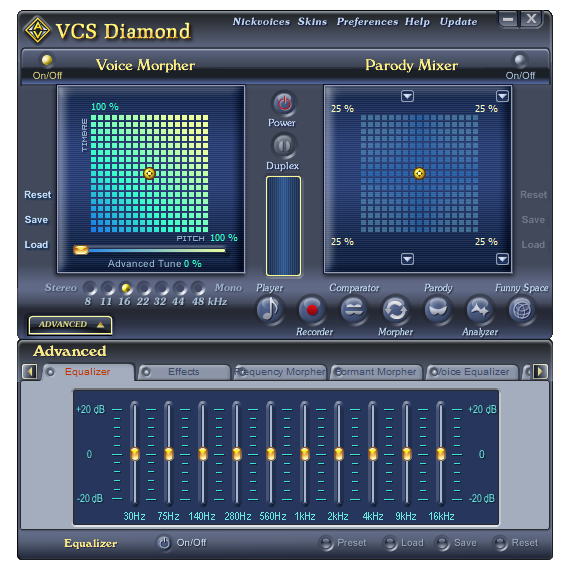 vst. vdx. vsx, or .vtx extension) in Windows Explorer. 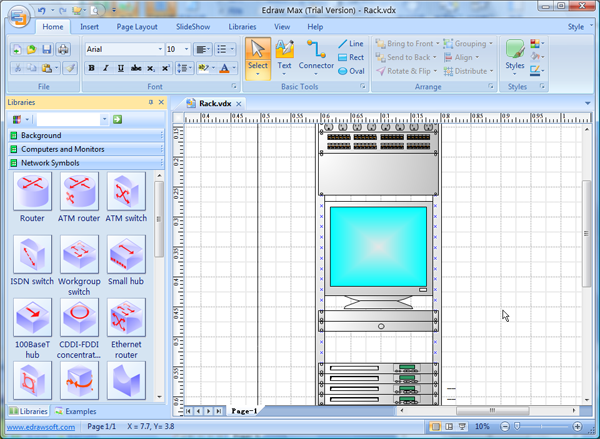 Internet Explorer will open, and Visio Viewer will render the drawing in the browser window. You can then pan and zoom in the drawing window by using toolbar buttons, keyboard shortcuts, or menu items in the shortcut menu. Also, you can see properties on any shape by opening the Properties and Settings dialog box and then selecting a shape. Some rendering and display settings are available in the Display Settings tab of the Properties and Settings dialog box. Additionally, you can set drawing-layer visibility and colors in the Layer Settings tab, and annotation visibility and colors in the Markup Settings tab. Whether you are a network engineer, network manager, network consultant, or a network enthusiast, you have surely encountered the need of representing an IT/network environment. I still remember customers drawing their networks on pieces of paper, sometimes they even scan it to send it by email. Why is it so complex to create a good Visio diagram? It is time to get acquainted with a software which provides a means of drawing your IT environment, inexpensively and effectively . NetDepict automatically analyses the network data, depicts relationships between devices, and provides you with an interactive and intuitive environment. 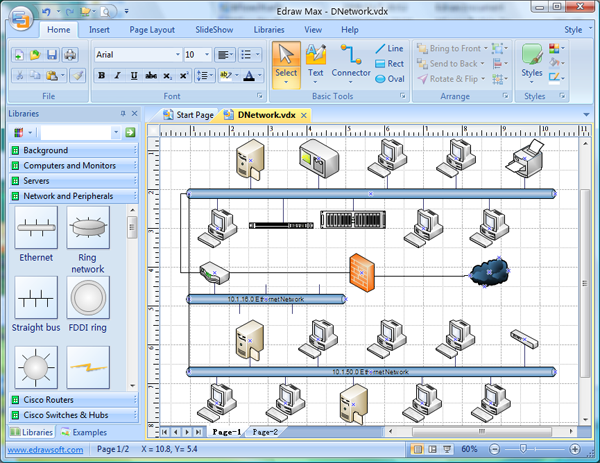 It is an easy to use software that can be run on every Windows machine with Microsoft Visio installed. 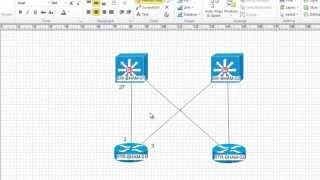 NetDepict enables you to draw Visio snapshots of any network you manage, no matter how many devices you have. It provides you the means to automatically generate accurate and precise drawings, providing you with the necessary perspective to any kind of network environment. It will also help you to understand your customer’s networks, and enable you to compare a current situation and schema to the older one. It also enables you to control the degree of details presented, and combine the Visio data with other MS Office functionalities (like editing text, font, size). You can make a Visio drawing of your topology (above), and save it as a .vsd file. The following picture represents just a segment of the upper topology, as opened in Visio. NetDepict will do the rest, that is, depict your network automatically. We wanted to put NetDepic under test, and see how it can help a network engineer in the challenge of quickly draw a network diagram. As it allows you to define the scope of the network that you want to collect the data from, you can easily create a network drawing on the basis of just an IP address. Namely, its SNMP Data Capture functionality enables you to enter data, based on which NetDepict pulls the device and relationship data from your real network, and makes a network drawing. If you need a tool that will enable you to document your network, and make it more personalized and concise, you should definitely consider doing it with NetDepict. It is an affordable and intuitive tool to create network drawings in just a few clicks. NetDepict is priced at $65 USD . and can be purchased at the following link . That price also includes an unlimited lifetime support. In case you are not satisfied with NetDepict within the first 60 days of buying it, you can get the 100% of your money back . Considering the fact that the price is reasonable, and after you pay you get a tool which enables you to draw your network quickly and then present it to your colleagues, manager or even customers, we can only encourage you to give it a try . If you are a Linux user like me, we will need to disappoint you. Unfortunately, the Linux version of this product still does not exist. Я сделал схему в Visio, схема имеет очень сложную структуру, надписи и пояснения. Данную схему мне необходимо вставить в свою работу выполненную в Word-e. 1.) Как схему переместить из Visio в Word? Но это только первая страница, а нужно вставить в Word страницы из Visio одна за другой (не обязательно в том же порядке, как в Visio), под рисунок написать: Рис. "N"-i "appVisio.ActiveDocument.Pages.Item(i)". за ней следующую и т. д.
Вставляя OLE объект из файла Вы вставляете весь многостраничный документ, а не только первую страницу. Тем более, что вставляется не первая страница, а та, на которой был закрыт документ Visio, например, последняя или пятая. Если сделать ту же операцию вручную из меню Word, то во вставленном объекте можно переходить с одной страницы на другую. Можно вставить объект два раза в разные места, а потом в одном из них перейти на другую страницу, и в Word'е Вы увидите две разные картинки. Если Вы хотите вставить несколько объектов, отображающих по умолчанию разные страницы рисунка Visio, то это будут просто копии одного и того же объекта, но открытые на разных страницах. Документ Visio был сохранен на третьей странице. Программка делает следующее: вставляет третью страницу (первый AddOle), перелистывает файл на первую страницу, вставляет первую страницу (второй AddOle). MsgBox "Failed creating Visio instance." VSD Viewer - профессиональный инструмент для просмотра документов MS Visio. Существуют версии для Android, Mac OS X, iOS. VSD Viewer открывает и отображает документы следующих форматов VSD, VDX, VSDX. Поддерживаются все последние версии форматов! 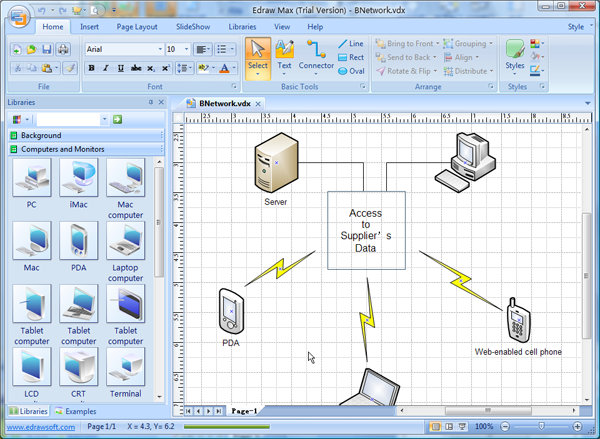 VSD Viewer - professional Visio Drawings viewer for OS X. Preview, navigate, switch LAYERS visibility, preview Shape Data, print, save to PDF, and share MS Visio drawings on your Macs! VSD Viewer opens documents of ALL Visio drawing formats - binary VSD 2000-2013, and XML-based VDX/VSDX. VSD Viewer opens complex formatted Visio Drawings, renders all the drawing content including: regular shapes with formatting, rich formatted texts, graphic objects and images, windows metafile images, OLE objects, layers, and even allows you to preview multiple Shape Data tables and SWITCH LAYERS visibility to preview drawings with details! VSD Viewer with ease operates multipage documents, renders background pages, allows preview pages using page thumbnail view. VSD Viewer allows you to save your drawings to Adobe PDF for further sharing. By using VSD Viewer you can freely distribute Visio drawings and diagrams to team members, partners and customers. It's particularly useful for workgroups that need to collaborate their visual documentation in a multi-platform environment. • View documents with embedded OLE-objects**! • View documents with embedded metafiles - EMF and WMF**! 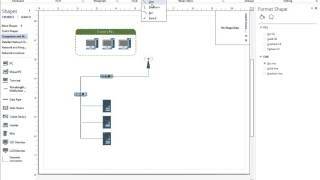 VSD Viewer is a solid tool to preview complex Visio drawings. VSD Viewer available for iPad and iPhone on iTunes Store, for Android available on Google Play store. *The option allows you to preview professional drawings switching layers visibility, print documents with visible and hidden layers as well. **VSD Viewer renders even embedded metafiles images and even ***OLE Objects. VSD Viewer requires OS X 10.8 or later. 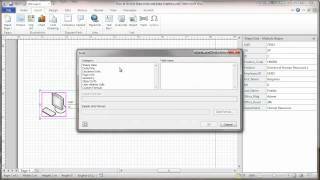 VSD Viewer opens drawings of VSD, VDX, VSDX file formats only. We are constantly looking for a chance to make our product better and even more valuable for professionals. Your ideas and feedbacks are highly appreciated at support@nektony.com. Looking forward hearing from you! Microsoft, Visio are registered trademarks of Microsoft corp.
Связи относятся к другим файлам, так что они не требует больших затрат на поддержание. Ссылка на файла состоит из полного пути к файлу на диске. Если файл переименован, удален, или перемещен к другую папку, Visio не может найти файл для обновления связанного объекта, и вам придется изменить связь, чтобы обращаться к файлу в новом месте, или отменить связь, если файл больше не существует. Например, если вы скопируете рисунок и связанные с ним файлы на другой компьютер, Visio будут неспособен обновлять связанные объекты, если только все файлы не скопированы в те же самые папки (или относительно), как на вашей системе . Когда вы открываете рисунок, который содержит связанный объект, Visio может показать сообщение, запрашивающее необходимость обновления связи в документе. Это сообщение появляется, когда рисунок содержит связи и программы OLE-объекты, для которых связанные объекты недоступны. Если программа OLE-объект недоступна, например, если вы открываете рисунок в системе, на которой не инсталлирована нужная программа, Visio, показывает такое сообщение. Видимое представление объекта в рисунке не изменяется, но вы не сможете редактировать данный объект. Если программа, в которую вы хотите передать информацию, не поддерживает копирование и вставку или соединение и встраивание, то Visio поддерживает импорт и экспорт. Импортирование переводит файл другого формата в рисунок Visio. Visio создает область в рисунке, чтобы ввести импортированную информацию. Вы можете импортировать в рисунок Visio полный файл. - ZSoft PC PaintBrush Bitmap (.PCX). Примечание. Вы можете импортировать и конвертировать ABC FlowCharter и CorelFlow файлы в Visio используя команду Open в меню File. Если вы используете Visio Technical, можно также конвертировать в формат Visio файлы AutoCAD. Для файлов, импортированных с применением фильтра, вы можете управлять некоторыми аспектами отображения файла в рисунке. Когда вы импортируете такой файл, Visio показывает диалоговое окно Graphic Import. Retain Gradients – сохраняет градиент заполнения. Retain Background – сохраняет фон, указанный в первоначальной программе, создавая прямоугольник такого же цвета. Emulate Line Styles – рисует толстые или скопированные линии как многоугольники для более точного представления вместо использования стиля линии и возможностей драйвера принтера. Normal – Использует цвета точно так, как определено в файле изображения. Inverse – Инвертирует все цвета. Например, черный становится белым а белый становится черным, чтобы создать эффект фотонегатива. Inverse Grays Only – Инвертирует только черный, белый, и серый; все другие цвета сохраняют их первоначальный цвет. Это полезно для подчеркивания штриховки или образцов. Gray Scale – Конвертирует все цвета к оттенкам серых. Inverse Gray Scale – Конвертирует все цвета к оттенкам серых и затем инвертирует их, чтобы создать эффект черно-белого негатива. И связывание и внедрение устанавливает активную связь между программой, которая создает OLE-объект, и OLE-контейнером. Когда вы внедряете или связываете объекты, документ содержит или ссылается на данные, созданные в других программах. Вы можете редактировать эти данные внутри документа. Например, вы создали рисунок схемы организации в Visio. Связывая или внедряя схему организации в OLE-контейнер, вы можете модернизировать схему внутри его. Примечание. Visio поддерживает OLE 2, который позволяет вам редактировать объект в Visio на месте и перетаскивать объекты из одной программы в другую. Когда вы связываете объект с информацией другого приложения, вы храните ссылку на информацию, а не информацию непосредственно. Когда вы внедряете информацию в другое приложение, информация непосредственно сохраняется в нем. Например, при связывании рисунка Visio с другим приложением, приложение содержит только ссылку на файл рисунка Visio. Если вы встраиваете рисунок, то рисунок сохраняется в файле другого приложения. Так как связывание и внедрение отличается тем, где действительно сохраняются данные, то выбор связывания или внедрения объекта зависит от того, как вы намереваетесь работать с ним. Если вы должны использовать одну и ту же информацию в нескольких документах, и важно, чтобы использовалась самая современная версия, связывание информации лучше внедрения. Связанная информация может быть обновлена каждый раз, когда открывается документ, содержащий ссылку на исходные данные. Любые изменения, сделанные в первоначальном файле, появляются в документах, связанных с ним. Связанная информация может требовать немного больше осторожности в обращении, чем встроенная информация, потому что первоначальный файл должен быть доступен для контейнерной программы, чтобы модернизировать информацию. Если первоначальный файл переименован или перемещен в другую папку, связь с документом должна быть обновлена. Это также означает, что, если вы копируете связанный документ в другую систему, то нужно также копировать и первоначальный файл, и возможно также вам придется изменить связь. Это придется сделать, когда документ первый раз открывается в той системе. Документы с внедренной информацией могут быть более легкими для работы с ними, так как не имеется никаких связей, требующих обслуживания, и документ не нуждается в доступе к другим файлам. Вы можете копировать документ в другую систему, не заботясь о необходимости копировать дополнительные файлы. Так как информация не связана, изменения в первоначальном файле, не отражаются на документе. Внедренная информация увеличивает объем документа, так как он содержит копию информации вместо ссылки на другой файл. Вы можете также редактировать встроенные объекты не покидая контейнерной программы. Visio может связывать или внедрять информацию любых OLE-объектов Windows. Информация из Visio может быть связана или внедрена в любую программу Windows, которая поддерживает OLE. Подробнее относительно способностей конкретных программ к связыванию и внедрению объектов, см. их документацию. Примечание. Если вы хотите воспользоваться преимуществом OLE, удостоверитесь, что ваша система имеет достаточно RAM для программы OLE-объекта и контейнерной программы, чтобы запустить их одновременно. Чтобы включить рисунок Visio в Lotus Notes, вы внедряете его как строку базы данных Notes. Кроме того, используя рисунок Visio, встроенный в Lotus Notes, вы можете использовать Notes/FX, который позволяет Visio и Lotus Notes передавать данные туда и обратно. - Записывать информацию из шейпов Visio, пользовательской формулы или окна Properties в поля Lotus Notes. Например, можно комбинировать Lotus Notes и Visio прослеживая процессы компании, такие как создание спецификаций и т.д. Делать это настолько удобно, насколько возможно в Lotus Notes. Вы встраиваете диаграмму Visio в каждый процесс. Затем создаете таблицу, которая показывает только названия процессов (которые являются данными, записываемыми Visio в Lotus Notes). Любой, кому нужно видеть процесс, может щелкнуть по названию схемы чтобы увидеть встроенную диаграмму Visio. Тогда, чтобы редактировать ее, пользователь может дважды щелкнуть по диаграмме Visio для запуска Visio. - Читать данные из полей Lotus Notes и просматривать их в Visio. Например, вы можете с помощью полей данных Lotus Notes автоматически обновлять графики Visio. Примечание. Lotus Notes версии 3.x использует OLE 1. Поэтому вы не сможете редактировать объекты на месте или динамически передавать данные туда и обратно между Visio и Lotus Notes. В OLE 1, данные передаются между программами, когда из программы завершаются или когда вы выбираете Update в меню File. Вы можете конвертировать внедренные или импортированные метафайлы Windows в группу или шейп Visio. Если связанный или внедренный объект представлен метафайлом, можно также конвертировать объект в группу или шейп Visio, тогда не будет проблем при разрыве связи объекта с первоначальным файлом и со способностью редактироваться в первоначальной программе. - чтобы выделить метафайлы в индивидуальные шейпы, используйте команду Ungroup. Вы не должны конвертировать метафайлы в группу перед их разгруппировыванием. Примечание. Метафайл может содержать в качестве компонента двоичный образ, поскольку компонент, или метафайл может состоять исключительно из двоичных образов. Двоичный образ не может быть конвертирован в шейп Visio. Однако, метафайл, который состоит из отдельного двоичного образа обычно, хранит его в сегментах. Когда вы конвертируете такой метафайл в шейп Visio, каждый сегмент метафайла становится отдельным двоичным образом, и лучше всего конвертировать метафайл в группу, чтобы держать двоичные образы вместе. - можно применять стиль или атрибуты закраски, чтобы изменить образец или цвет закраски объекта. Чтобы видеть цвет и образец закраски объекта, должно оставаться некоторое пустое место между объектом и его границей. Вы можете конвертировать некоторые внедренные объекты в другие форматы файла, если программа внедренного файла поддерживает другой формат. Можно также определить, что объект появляется в виде иконки, выбирая Display As Icon. 1. Выберите внедренный объект для преобразования. 2. В меню Edit выберите команду конвертирования. Обычно это команды подменю Convert on the <OLE объект>. Вы можете внедрять шейпы из рисунка Visio в другой документ, копируя их в буфер, а затем вставляя их в контейнерную программу. Вы можете также включать шейпы Visio, перетаскиванием их в другую программу-контейнер OLE 2. Подробнее см. Перетаскивание объектов Visio в другие приложения. 1. Выберите на рисунке шейпы, которые вы хотите включить в другой документ. 2. В меню Edit выберите Copy или щелкните по кнопке Copy на панели инструментов. Даже если вы закончили использовать Visio, не закрывайте его. Для включения шейпов другая программа нуждается в информации, которая может быть получена быстрее, когда Visio еще запущен. 3. В другой программе покажите документ, в который вы хотите внедрить шейп. 4. Выберите команду, которая используется в этой программе для внедрения объектов. Обычно это команда Paste в меню Edit, но это может быть и Paste Special, Paste Object или команда, специфическая для этой программы. Подробнее см. документацию OLE для этой программы. Если вы хотите использовать полную страницу рисунка Visio в другом документе, вы можете включить страницу почти тем же способом, как включаются выбранные шейпы, или можете связать файл Visio, содержащий страницу, с другим документом. 1. Убедитесь, что на странице ничего не выбрано. Если какие-то шейпы выбраны, Visio свяжет или внедрит в другой документ только их, а не целый рисунок. 2. Если вы собираетесь создать связь с рисунком, а не включить его копию, сохраните файл рисунка. Так как связь состоит из ссылки на первоначальный файл, вы должны сохранить его прежде, чем можно будет осуществить связь с ним. 3. В меню Edit выберите Copy Drawing. Даже если вы завершили работу с Visio, не закрывайте его. Чтобы внедрить или связать рисунок, другая программа нуждается в некоторой информации, которая будет получена быстрее, если Visio все еще запущен. 4. Покажите документ, в который вы хотите внедрить или связать рисунок Visio. 5. Выберите команду, используемую той программой для включения или связывания объектов. Для внедрения, обычно это команда Paste в меню Edit. Для связывания, это может быть команда Paste Special или другая команда, специфическая для этой программы. Подробнее см. документацию OLE для этой программы. Для обеспечения полей вокруг рисунка, вы можете увеличить область копии Visio, создавая прямоугольник, который закрывает желаемую область. 1. В Visio нарисуйте прямоугольник, включающий нужную область для внедрения или связи. 2. Сделайте прямоугольник прозрачным применив к нему стиль закраски None или установив его за шейпами командой Send To Back из меню Shape. 3. Если вам не нужна рамка вокруг рисунка, сделайте ее невидимой, применив стиль None к линии прямоугольника. 4. В меню Edit выберите Select All, затем Copy или щелкните по кнопке Copy на панели инструментов. Даже если вы закончили работу с Visio, не закрывайте его. Чтобы включить шейпы, другая программа нуждается в некоторой информации, которая будет быстрее получена, если Visio все еще запущен. 5. В другой программе, покажите документ, в который вы хотите включить шейпы. 6. Выберите команду, обычно в меню Edit, используемую программой, для включения объектов в документы. Обычно это команда Paste, но может быть Paste Special, Paste Object или команда, используемая только в данной программе. Подробнее, см. OLE документацию этой программы. Вы можете также расширить область вокруг вложенных шейпов Visio или вокруг полного рисунка: в меню Edit выберите Drawing Page, затем выберите Size & Scale. Введите значения высоты и ширины рисунка в окне Drawing Size. Если вы редактируете объект Visio на месте, вы можете увеличить область рисунка, перемещая управляющую точку на рамке. Примечание. Чтобы связать несколько шейпов, выберите нужные шейпы (используя Shift+щелчок), затем связывайте их с другой программой. Если программа поддерживает OLE, вы можете внедрить объект в Visio. Внедренный объект не сохраняет связи с первоначальным файлом, так что изменения в оригинале, не затрагивают объект внедренный в рисунок Visio. 1. Откройте документ, который содержит нужную информацию, в окне своей программы. 2. В документе, выберите информацию, которую вы хотите включить в рисунок Visio. 3. Выберите команду, используемую той программой для переноса данных в буфер. Обычно это команда Copy в меню Edit. 4. Покажите рисунок, в который вы хотите включить объект в окне Visio. 5. В меню Edit выберите Paste или щелкните кнопкой Paste на панели инструментов. Visio вставляет информацию из буфера в рисунок как объект. Объект будет помещен в центр изображения, но вы можете выбирать и перемещать его точно так же, как шейп Visio. Связанный OLE объект может быть обновлен автоматически каждый раз, когда открывается рисунок или только когда вы явно запрашиваете обновление. Каждый раз, когда связь обновляется, изменения, сделанные в объекте в первоначальном файле, появляются в документе, связанном с файлом. Так как связь состоит из ссылки на первоначальный файл, вы должны сохранить его прежде, чем сможете осуществить связь с ним. 2. В первоначальном файле, выберите информацию, нужную вам в рисунке Visio. 3. Выберите команду, используемую в программе OLE объекта, для размещения информации в буфере. 4. Покажите рисунок Visio, с которым вы хотите связать файл. 5. В меню Edit выберите Paste Special. 6. В диалоговом окне Paste Special выберите Paste Link. Большинство программ размещает информацию в буфере в нескольких форматах, чтобы сделать информацию пригодной для большого количества программ. Когда вы вставляете информацию из буфера в программу, используется один из возможных форматов. Однако, вам может понадобиться использовать другой формат. Например, вы захотите вставить что-то как двоичный образ, или метафайл Windows, вместо внедрения его в рисунок. Вы можете вставить информацию из буфера в специфическом формате, используя команду Paste Special вместо Paste. 1. Скопируйте нужную информацию в буфер. 2. Покажите рисунок Visio, в который вы хотите вставить информацию. 3. В меню Edit выберите Paste Special. 4. В окне Paste As выберите желаемый формат. В зависимости от приложения объекта OLE в виде иконок могут показываться объекты или файлы, связанные или встроенные командой Object. Вы можете получить файл, появляющийся в виде иконки, устанавливая флаг Display As Icon в диалоговом окне Object. В качестве альтернативы вырезанию или копированию и вставке, вы можете перетаскивать один или несколько шейпов из одной программы в другую. Когда шейпы Visio находятся в другой программе, с ними обращаются как с одним объектом. Вы можете использовать этот метод только в случае, если и OLE объект и OLE контейнер поддерживают OLE 2. При перетаскивании объекта вы не используете буфер и не воздействуете на информацию, хранящуюся там. Когда вы перетаскиваете объект из одной программы в другую, он будет внедрен, связан или вставлен в программу контейнер, в зависимости от того, какую клавишу вы нажимаете при перетаскивании объекта и какие форматы поддерживает другая программа. 1. Придерживайте клавишу Shift, когда вы переносите объект из Visio в программу-контейнер. Объект будет вложен в контейнер и удален из Visio. Если вы не хотите удалять объект из Visio, выберите Undo из меню Edit после переноса объекта. 1. Нажмите клавишу Ctrl, когда вы переносите объект из Visio в программу-контейнер. Объект будет вложен в контейнер, но не удален из Visio. 2. Нажимая кнопку мыши при переносе объекта Visio в программу-контейнер, придерживайте клавиши Ctrl и Shift. Примечание. Вы не можете переместить объект в файл Visio только для чтения, и не можете перенести мастер-шейп с трафарета в другое приложение, удаляя его из трафарета. Тем не менее, вы можете скопировать мастер-шейп из трафарета в другое приложение. В зависимости от действия с файлом: перемещение, копирование, или соединение, указатель мыши изменяется, показывая действие. Указатель мыши также изменяется, показывая, поддерживает ли программа внедрение или связывание. невозможность связи или встраивания – перечеркнутый круг. Вы можете изменить внедренный или связанный объект в его первоначальной программе из рисунка Visio. Когда вы изменяете внедренный файл, вы изменяете копию первоначального файла. Если вы изменяете связанный файл, изменяется сам первоначальный файл. Программа OLE объект обеспечивает команды в меню Vi s io для редактирования своих объектов. Большинство программ обеспечивает подменю действий, которые вы можете выполнять на OLE объекте. Обычно команда для редактирования OLE объекта – Edit. Команды подменю обычно появляются ниже команды Links в меню Edit в V isio. 1. Выберите объект для редактирования. 2. В меню Edit в Visio выберите команду для редактирования объекта. Обычно это команды <OLE объект> Edit. Проще вы можете выбрать объект для редактирования двойным щелчком по объекту на рисунке. Windows вызывает программу OLE объект и показывает объект в окне программы. Если объект связан, программа открывает первоначальный файл, содержащий объект. Вам может понадобиться разорвать связь между объектом в рисунке и другим файлом. Возможно вам нужно передать кому-то рисунок без связанных файлов, или информация в связанном файле установилась и вам не нужно больше модернизировать объект в рисунке. Вы можете разорвать связь между объектом и файлом, отменив связь. 1. В меню Edit выберите Links. 2. В диалоговом окне Links выберите разрываемую связь. Visio конвертирует объект в рисунке в метафайл Windows и отказывается от ссылки на первоначальный файл. Примечание. Вы можете также разорвать связь между объектом и первоначальным файлом, преобразовывая объект в группу Visio. Обычно преобразование объекта в метафайл уменьшает размер файла рисунка. Поскольку Visio поддерживает OLE, вы можете создавать объекты других приложений в рисунке Visio. (Однако, вы не можете редактировать объект, вложенный в Visio, на месте.) Например, работая в Visio, вы можете открыть Microsoft Excel и создать таблицу не выходя из Visio. Вы можете вызвать другое приложение из Visio и создать новый объект или открыть существующий файл. Если вы создаете новый объект Visio другим приложением, объект V isio всегда является вложенным. Когда вы используете существующий Visio файл в другой программе, вы можете или связать или внедрить его. 1. В меню Insert выберите Object. 2. В диалоговом окне Insert Object выберите Create New. 3. Из списка Object Type выберите тип создаваемого объекта, затем щелкните OK.
Visio вызовет приложение для создания объекта. 5. В меню File приложения выберите Exit. 2. В диалоговом окне Object выберите Create From File. 3. Установите флаг Link, если вы хотите связать файл с рисунком Visio. 4. Введите путь и имя файла в окне. Можно также щелкнуть Browse, затем выбрать нужный путь и файл. 1. В программе-контейнере, щелкните дважды на вложенном объекте. Появляется специальный набор меню Visio. 3. Щелкните за пределами рисунка для завершения редактирования на месте. Примечание. Вы не можете редактировать на месте объект, вложенный в Visio. Вы можете экспортировать определенные шейпы или страницу рисунка Visio в другой документ, используя команду Save As. Когда вы используете Save As для экспорта страницы, команда Save As не затрагивает текущий документ. 1. Для экспорта страницы покажите экспортируемую страницу. 2. В меню File выберите Save As. 3. В окне Save As выберите нужный формат. 4. В окне File Name введите имя файла. 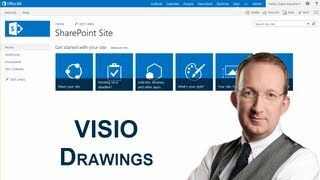 Visio экспортирует шейпы или страницу в выбранном вами формате. Вы можете использовать файл в любой программе, которая может читать файлы в этом формате. Примечание. Вы можете использовать Visio, чтобы конвертировать файл из одного формата в другой, импортируя файл в Visio, а затем экспортируя его в желаемом формате. Когда вы импортируете файл, его содержимое появляется в центре изображения. Однако, вы можете выбирать и перемещать объект точно так же как любой другой шейп Visio. 1. В меню Insert выберите Picture. Фильтры импорта, установленные с Visio определяют типы файлов, которые вы можете импортировать. 2. В списке File Type выберите нужный формат. Visio покажет файлы в этом формате. Если нужного файла нет в списке, измените папку с просматриваемыми файлами. 3. В окне File Name выберите нужный файл. В зависимости от типа импортируемого файла Visio может попросить вас выбрать параметры, которые влияют на изображение файла. Примечание. Вы можете также конвертировать ABC FlowCharter и CorelFlow файлы в Visio, используя команду Open в меню File. 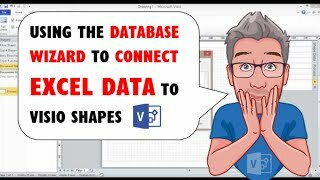 Если у вас Visio Technical, вы можете конвертировать в формат Visio файлы AutoCAD. После того, как вы вставите OLE объект в рисунок Visio или импортируете картинку, вам, вероятно, захочется подстроить ее изображение. Может понадобиться увеличить или уменьшить объект или оставить только часть его. При вставке объекта в рисунок Visio, он сначала имеет тот же самый размер, что и в первоначальной программе. - панорамировать объект, перемещая его внутри границ. 1. Выберите объект инструментом указатель. 2. Тяните точку селекции, пока объект не примет нужный размер. При перемещении угловой точки объект изменяется пропорционально. При перемещении точки на стороне объект увеличивается или уменьшается по горизонтали или вертикали. 1. В меню поворота и обрезки выберите инструмент обрезки. 3. Тяните точку селекции, пока объект не примет нужный размер. Показывается только часть объекта, однако Visio сохраняет весь объект, так что при желании вы можете обрезать его по-другому. Хотя вы не видите отрезанные части объекта, они все еще присутствуют в рисунке и занимают память, в том числе и при печати. Для более эффективной печати, пробуйте все-таки изменить размеры объекта вместо его обрезки. 2. Укажите внутри объекта и нажмите левую кнопку мыши. 3. Тяните, пока объект не переместится внутри рамки в нужную позицию. Вы можете быстро послать рисунок Visio по электронной почте программой, поддерживающей протокол Messaging Application Program Interface (MAPI) или Common Messaging Call (CMC). 1. Если файл рисунка открыт, в меню File выберите Send. Если почтовая программа не была запущена, она запустится, затем появится почтовое сообщение, содержащее иконку Visio и имя файла. 2. Адресуйте сообщение, добавьте сопровождающую информацию и пошлите почтовое сообщение обычным образом. 1. Откройте почтовое сообщение, затем дважды щелкните по иконке Visio. Вы можете просмотреть все связи рисунка и обновить связи вручную или автоматически. Если Visio не может найти файл для обновления связи, вы можете изменить ссылку на файл на корректную. 1. В диалоговом окне Links выберите связь, подлежащую изменению. 2. Чтобы заставить Visio автоматически обновить связь, выберите Automatic. Если вы хотите обновить связь командой Links, выберите Manual. 3. Если нужно изменить связь, щелкните Change Source и выберите ссылку на новый файл в диалоговом окне Change Source. 4. Завершив просмотр и изменение связей, щелкните OK в диалоговом окне Change Source, затем щелкните Close в диалоговом окне Links. Вы можете изменить ссылку на файл на ссылку к любому другому файлу того же самого формата, что и первоначальный файл. Например, можно изменить связь с .BMP файлом на связь с различными .BMP файлами, чтобы показать другое изображение, или изменить связь для таблицы Excel, чтобы показать тот же самый диапазон ячеек совершенно другой таблицы. Вы можете в любое время вручную или автоматически обновить связи, используя команду Links. 3. Щелкните Update Now, затем Close. Вы можете передать данные из диаграммы Visio в поля базы данных Lotus Notes. Каждое поле в Lotus Notes, которое вы хотите заполнить данными Visio, основано на окне Properties диаграммы, шейпе или пользовательской формуле. Примечание. Убедитесь, что поля в обеих программах имеют в точности то же имя. 1. В Lotus Notes установите поля, которые вы хотите заполнять данными из Visio. Запишите имена этих полей, потому что вы будете использовать их в Visio. 2. В Visio откройте шаблон рисунка. 3. Если поле Lotus Notes не основано на окне Properties диаграммы, добавьте шейпы, которые будут связаны с полями Lotus Notes. 4. Выберите один из шейпов, который должен быть ассоциирован с полем Lotus Notes, затем выберите Special в меню Format и запомните ID шейпа (будет использован на шаге 9). Закончите этот шаг для каждого шейпа, который будет связан с полем Lotus Notes. 5. В меню Insert выберите Lotus Notes Fields. 6. В секциях Field Name и Direction введите имя поля в точности соответствующее имени поля, определенному в Lotus Notes. 7. Установите флаг Write To Notes. 8. В секции Data Type выберите тип данных, которые вы будете передавать: Text, Time или Number. 9. Если вы установили Text в Data Type, введите ID, полученный на шаге 4 в окно Shape ID. Данные, записываемые Lotus Notes могут быть именем шейпа, текстом, введенным в шейп, или данными, введенными в шейп в окне Special (в меню Format). Если вы выбрали Time или Number, введите пользовательскую формулу в окне Custom Formula. Подробнее см. Использование пользовательских формул в полях. 10. Щелкните Add, затем OK.
Чтобы просматривать информацию в Lotus Notes, выберите Exit в меню File V isio. 1. В базе данных Lotus Notes используйте имена полей из окна Properties Visio, чтобы автоматически включать туда информацию Visio. Поля окна Properties: Title, Subject, Creator, Keywords и Descriptions. Вы можете читать информацию из полей базы данных Lotus Notes и показывать ее в диаграмме Visio. Вы можете также использовать данные полей Lotus Notes в формулах. Примечание. Вам может понадобиться защитить шейп Visio, в котором вы размещаете информацию Lotus Notes, чтобы пользователи не могли ее редактировать. 1. В Lotus Notes установите поля, нужные вам в Visio. Убедитесь, что вы запомнили имена этих полей, так как вы будете их потом использовать в Visio. 2. В Visio установите шаблон рисунка. 3. В меню Insert выберите Lotus Notes Fields. 4. В секции Field Name and Direction введите имя поля, которое в точности соответствует имени, определенному вами в Lotus Notes. 5. Установите Read From Notes. 6. В секции Data Type выберите тип данных: текст (Text), время (Time) или число (Number). Для числа выберите единицы измерения, чтобы пользователь знал, как интерпретировать число. Например, номер может представлять дюймы или сантиметры; различие для пользователя может быть очень существенно. 7. Щелкните Add, затем OK.
8. Следуйте одной из процедур, которые или вставят поле Lotus Notes в шейп как поле или вставят его в шейп-лист шейпа. 1. Добавьте шейп, в который вы хотите вставить данные Lotus Notes. 3. Дважды щелкните на шейпе, чтобы открыть текстовый блок, затем установите точку ввода туда, где вы хотите вставить информацию. 4. В меню Insert выберите Field. 5. В секции Category выберите Lotus Notes Field. В секции Field выберите определенное поле Lotus Notes. В секции Format выберите желаемый способ отображения данных, затем щелкните OK.
Данные передаются между Visio и Lotus Notes когда программа запускается, так что всякий раз, когда вы открываете файл рисунка Visio, эти поля будут получать данные из вставленных полей Lotus Notes. 1. В меню Window выберите Show ShapeSheet. 2. Выберите ячейку, в которую вы хотите вставить поле Lotus Notes. 3. Разместите точку ввода в формуле, выберите Function в меню Insert. 4. В секции Select Function выберите LOTUSNOTES, затем щелкните OK.
5. В области редактирования для “notename” введите имя поля Lotus Notes. Данные передаются между Visio и Lotus Notes когда программа запускается, так что всякий раз, когда вы открываете файл рисунка Visio, шейп-лист будет получать данные из Lotus Notes. Любое поле “Write To Notes” может возвращать вычисления, если вы выберите Number, затем введете формулу в Custom Formula. В следующем примере “sheet.1” – план стен офиса. Размеры плана в дюймах. Формула умножает ширину на длину, затем делит на 144, чтобы получить площадь офиса. Всякое поле “Read From Notes” может быть использовано в формуле. Например, в базу данных планировки Lotus Notes, вы можете включить размеры каждого рабочего места. Тогда в Visio, вы можете включить данные Lotus Notes в формулу шейпа стен чтобы автоматически устанавливать их размер по точным измерениям, введенным в Lotus Notes. В этом примере шейп-лист стен включил бы следующую информацию, где “width” и “height” – имена полей Lotus Notes. При этом было бы неплохо защитить шейп, чтобы пользователь не мог изменить его размер и стереть формулу.